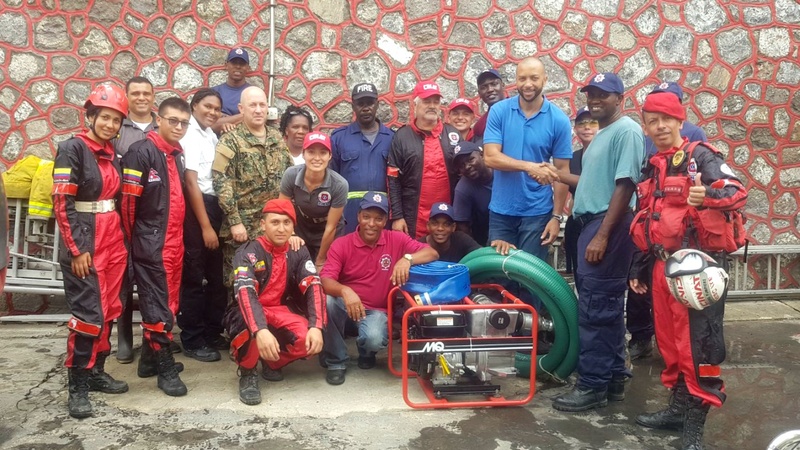 Members of the Dominican fire brigade and personnel from the Colombian and Mexican fire- fighting teams have flown into Dominica to help their colleagues. 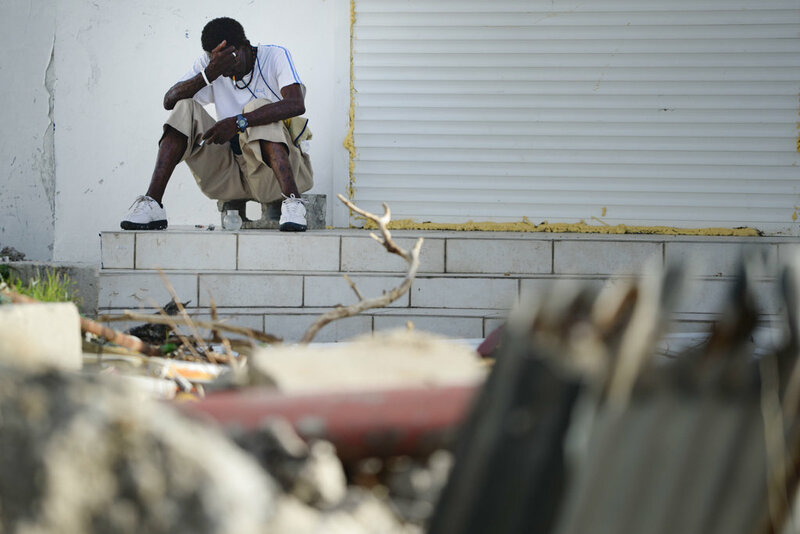 In the aftermath of the passage of hurricane Maria, the local fire brigade in Dominica has been pressed into service for much of the clean-up and restoration, along with its day-to-day firefighting duties in the capital of Roseau and beyond. Last week, the brigade issued an urgent appeal when a fire pump, a vital piece of equipment, needed urgent replacement. The loss of the pump meant that the brigade would have been severely hampered in the assistance it could render to communities in dire need of help. 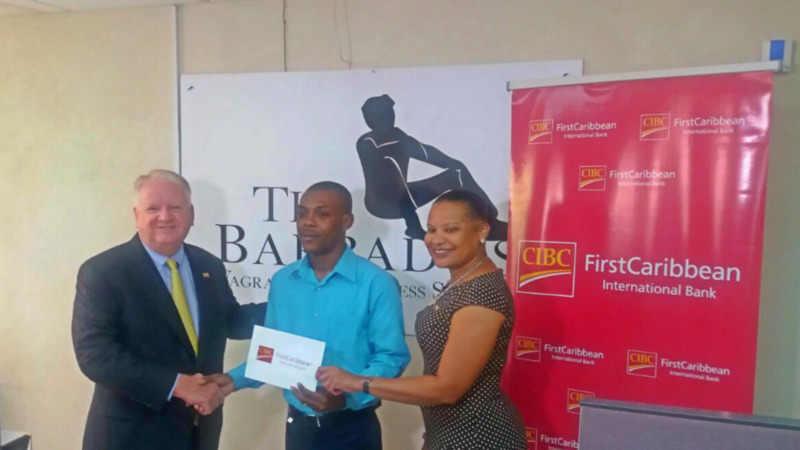 CIBC FirstCaribbean’s Country Head in Dominica Stephen Lander became aware of the urgent need and contacted the bank’s Comtrust Foundation, the charitable arm of the regional bank, for assistance in last Friday. In less than a day, the fire pump was sourced in Barbados, purchased and transported by the Barbados Coast Guard, to Dominica where it was handed over to Jisiah Dupuis the Fire Chief of the Dominica Fire Brigade by Mr. Lander over the weekend. The fire chief expressed his gratitude on behalf of the fire brigade and the people of Roseau and the surrounding communities and said the prompt purchase of this pump would assist in the recovery and fire-fighting efforts of his force. 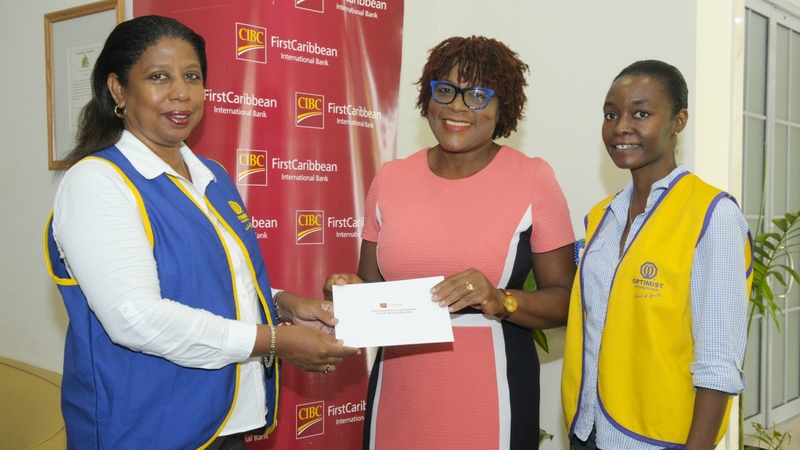 CIBC FirstCaribbean has committed up to US $100,000 for relief efforts in Dominica, in addition to a previous US$450,000 which the bank and its parent, CIBC, gave to those Caribbean countries affected by Hurricane Irma. Since the bank started in 2002, it has committed a minimum of US $1M per year for worthy causes across the Caribbean, totalling well in excess of US $20M in the 15 years since.